Hello, on Sunday I ran my first 10 Nautical Mile race. That is the equivalent of 11.5 miles. 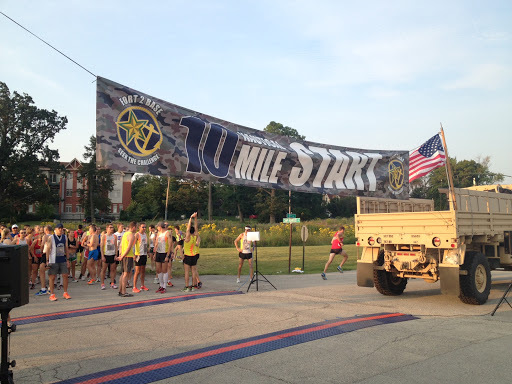 The race began at Fort Sheridan and ended at the Naval Station Great Lakes. Packet pick-up was a breeze at Road Runner Sports in Chicago. I really do not understand the big deal with the membership (VIP prices) since you can get pretty much get the same stuff at lower/same price from Runner’s Warehouse without paying a membership fee. 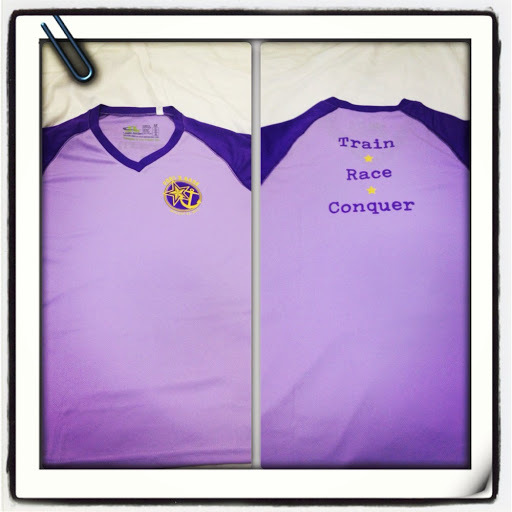 I LOVE, LOVE the race shirt!! I love purple and the slogan in the back. Plus, the fit is just perfect. I give away my other race shirts but this one I will keep. I was up at 4am on Sunday morning. I was out the door by 4:45 and by 6:00 I was at the Rosalind Franklin University of Medicine & Science parking lot where I left my car and got on a bus to get to the start line. The information brochure stated it was 30 minutes to the start line but in reality it was only 15 minutes. 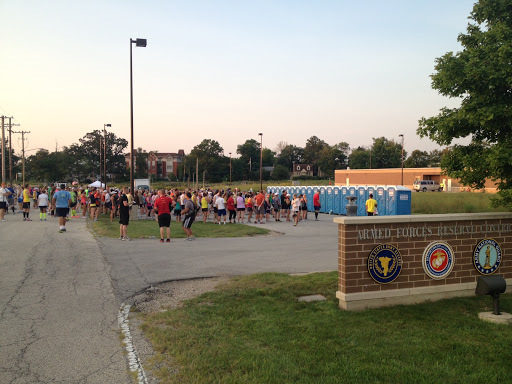 I had to go to the bathroom and almost did not go when I saw the line and the number of porta-a-potties. Luckily the line was moving fast and I was out with only a few minutes before the race began. However, by now I know better and do not rush to get to the start line. I mean, do I really have to start right on time? Definitely not. It didn’t seem like there too many runners. I think there might have been more at the 3 Nautical Mile race. I saw a friend of mine but it was a quick “hello” and “good luck” because he is a fast runner and his place was as close as possible to the start line. So off I went. It was overcast and not too hot. The first 2 miles were in Ft. Sheridan which was really cool. Then we ran along the North Shore Bike Path. I liked this very much because it was very different from running along the lakefront. Also, it was shaded and not too crowded with other runner/bike runners. 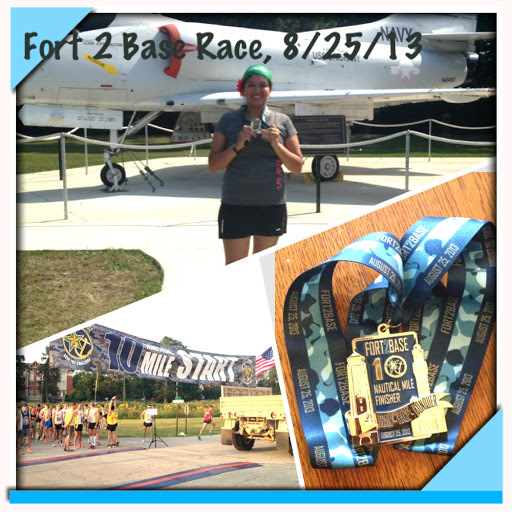 The last 3 miles were at the Naval Station. It was cool being there because that place is not open to civilians yet we were allowed to be there because of the race. There was one long downhill but I knew there was an uphill too. Oh and that uphill wore me out. I walked up the whole thing. 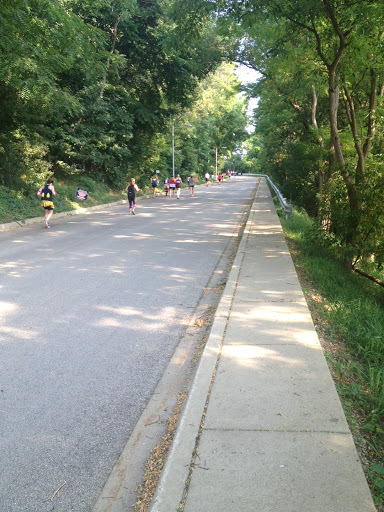 Once I made it to the top I found out that hill was called “Hero’s Hill.” There were officers making sure I was fine and offered to run with me. I only had one more mile to go. It does not look like it but it was a TOUGH hill! The last mile was tough for me. I was very thirsty and grateful for a water station at about half mile before the finish line. As I got closer to the finish line, I heard the announcer say my name and that made me super happy. Disclaimer: As part of the ambassador/blogger program, I received a complimentary race entry in exchange for posts about the race, my training, and a race recap. All opinions are mine. Congratulations on your first Nautical 10-Mile! (This is race #102 for you, too, yes?) I have heard really great things about this race so I was really excited to read your recap. I love the race shirt, too! Someone else posted a picture of the medal and it looks SWEET. Great job!!!!! I swear the hill gets bigger every year! Very cool shirts! I also like the medals, and I'm usually not a "medal" person. Hope you school year is off to a good start! I am looking forward to another day off. Have you done the North Shore Half Marathon? I swear both hills are very similar.